Ferrero was established in Alba in 1946. Its founder, Pietro Ferrero, knew how to create products that were instantly appealing to consumers. The driving inspiration behind the Ferrero family has always been the humanitarian and social spirit which was pioneered by the company’s founder, Pietro Ferrero, and has marked its history ever since. From the very outset, he devoted part of the fruits of his entrepreneurial intuition to supporting those who found themselves in hardship or difficulty. Pietro Ferrero was therefore the source of that sense of solidarity that has been passed down through the generations, first to his son Michele along with his wife Maria Franca, and then to their own sons, Pietro and Giovanni. Ferrero has experienced continuous growth under the leadership of Michele, first in Italy, and then in Europe and the rest of the world. The Group’s expansion has also gone hand in hand with the extension of its activities and attention towards those who have found themselves in need. In 1983, the Ferrero “Opera Sociale” was set up. It began as a small facility to accommodate retired Ferrero employees and instil in them a sense of their continued belonging to the Company. It gradually grew in parallel with the Group and became the Ferrero Foundation in 1991. The Ferrero family’s deep sense of social responsibility inspired the non-profit Foundation which bears the names of the Company’s founders. 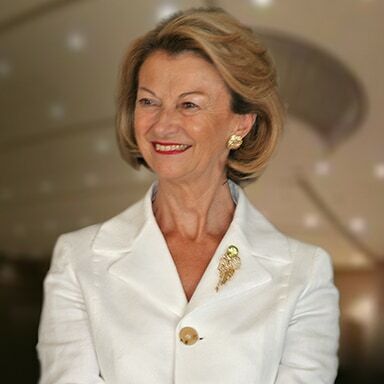 Presided over by Mrs Maria Franca Ferrero, the Foundation’s motto is: “WORK, CREATE AND DONATE”. This maxim, in memory of Pietro Ferrero, encapsulates the essence of the principles on which the Company was founded: respect for work, the celebration of creativity and new ideas, and a philanthropic and humanitarian mission. The scope and horizons of the Ferrero Foundation have broadened to transform it into a social, educational and cultural centre extending its activities throughout Italy and other European countries. For over seventy years "Work, Create, Donate" is the motto of the Foundation. It is a philosophy that inspired the entire life of my husband and that he transmitted to me, to his family, and to all Company's collaborators.